Building this Irish-themed cottage in the trees in 2013 was such a fun experience. With its Celtic accoutrements and live green roof, this treehouse brings a bit of Ireland to sunny California. This quaint backyard treehouse is nestled in a single olive tree behind the main house. Our carpenters prefabricated the curved framing in our shop back in Washington. The crew left the rafters of the circular roof exposed inside the finished treehouse—they form such a stunning radial pattern. The many curves kept the crew on their toes—very little is square in here! Daryl wraps up laying the cedar shingles on the exterior. A long staircase leads up to the front door, opening to the circular living room. The live green roof is laced with a sprinkler system to feed plants both on top of the treehouse and below. 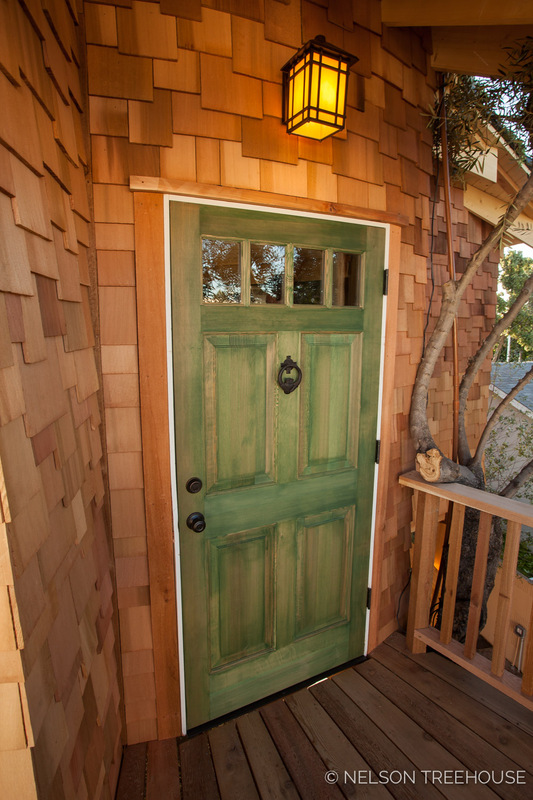 The green door was a must-have for an Irish-themed cottage! The walls inside are painted with a gradient of soft greens. Lots of plush seating makes the inside ultra-cozy—this corner is the perfect reading nook. The centerpiece of the room is this wood- and peat-burning stove. After all, what's an Irish cottage without a fireplace?! The deck is the perfect vantage place to soak in sunsets. We hope you've enjoyed taking a closer look at this quaint backyard treehouse! 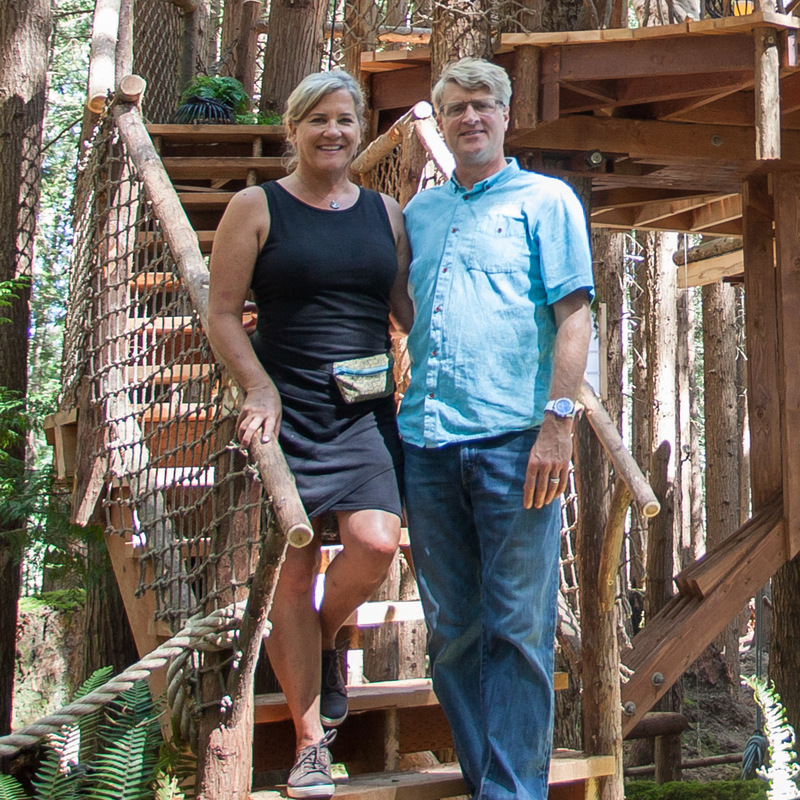 You can see all our photo tours of treehouses from episodes of Treehouse Masters, here.